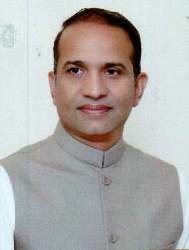 Mian Naseer Ahmed son of Ch Muhammad Hussain was born on February 15, 1975 in Lahore. He obtained the degree of MBA in 1997 from ILM, Lahore. A businessman, who served as Member, Provincial Assembly of the Punjab during 2008-13 and 2013-18 and has returned to Punjab Assembly for the third consecutive term in general elections 2018. He has visited Australia, France, India, Hong Kong, USA and UK. H.No.536, Block-G, Phase-V, Defence Housing Society, Lahore. E-621, 16-KM, Ferozepur Road, Lahore.